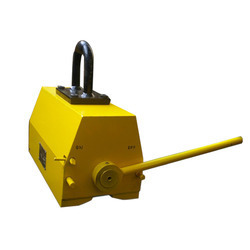 We are a leading Manufacturer of permanent lifting magnet, magnetic liquid trap and magnetic ferrous trap from New Delhi, India. With our years of experience & in-depth knowledge in this field, we are engaged in offering a quality-assured array Permanent Lifting Magnet. 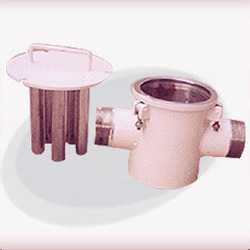 We are engaged in offering of Magnetic Liquid Trap at reasonable proces. These separators provides magnetic protection for the liquid lines and processing equipments. The products we offer are manufactured under the supervision of experienced quality inspectors as per international quality norms. 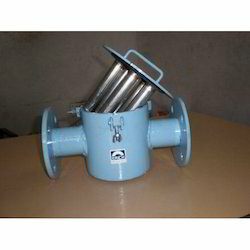 Size Pipeline size ID 1" to 18"
We are engaged in offering Magnetic Ferrous Trap that are utilized for the filtration of liquids in pipelines. These, thereby prevent abrasion, jamming of pumps and iron contamination. The magnetic tubes used in their construction can be easily removed for the purpose of cleaning. These can be installed in pipelines of various dimensions. These can be customized as per the requirements of the clients. These have been competitively priced. Looking for Magnetic Ferrous Trap ?